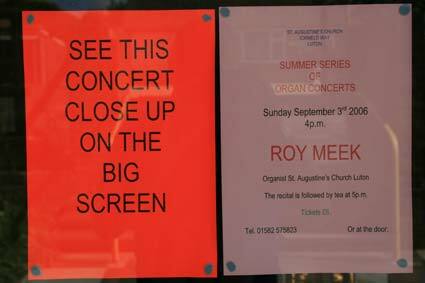 A service for organists, by organists. 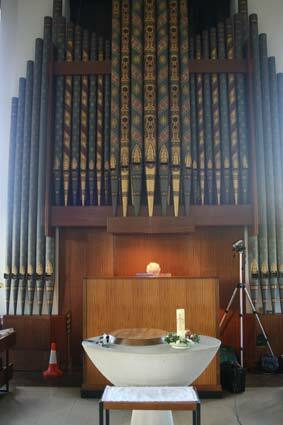 Depending up on the space in the organ loft, between one and three cameras can be used, concentrating on different aspects of the organ recital. 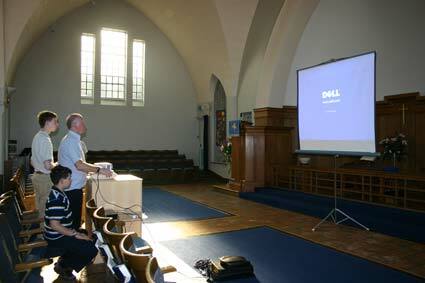 The information is relayed to a central video projection system and then projected onto a very large screen or screens such that a viewing public of around 500 can easily see the screen inside a church. 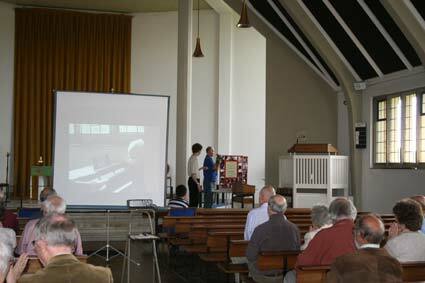 The viewing area is usually constrained by the church building. 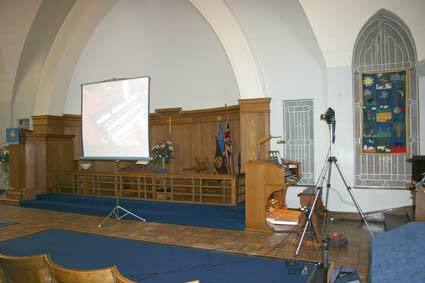 The system is not only excellent for concerts and recitals, but also is excellent in its teaching role in workshops. 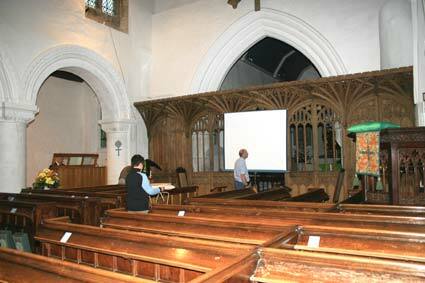 The organ recitals can be "enhanced" by the use of the Video Screen Projection equipment allowing the audience, from a high the vantage point, to look down on the manual console with its music, stops and various pistons. The musician can be seen in full control of the music, using hand registration and pistons. Instead of seeing an organ recital or concert like this. This being in this particular church the best seat on the house. 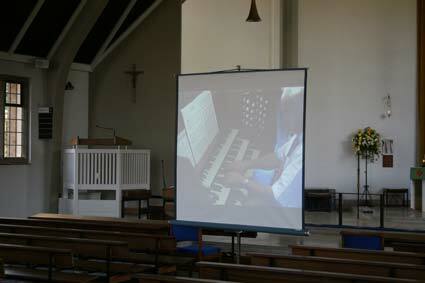 With Digital Video Projection, the audience sees the organist and the manuals, usually with the music and stops on a large screen in front of them. Now the audience can appreciate the full skill of the organist as they change stops and registrations as well as playing the music. This type of reproduction can be known as digital video projection, big screen video projection, video screen projection, organ recital video projection, organ recital projection, concert projection, camera projection, or even misleadingly organ projection. 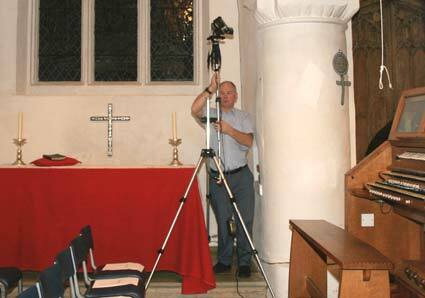 The camera can move following the subject around to take as here the opportunity to show two organs in a church being performed on, one at the back of the church and one at the front. 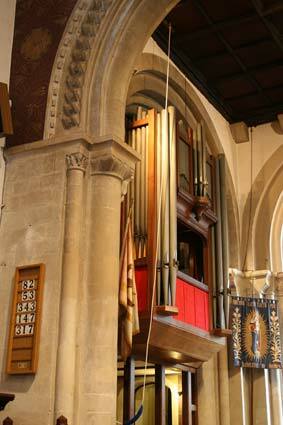 With many churches the organ is situated at the rear of the church with all the audience facing away from the organ. 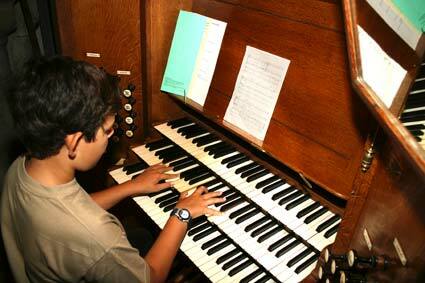 Often the organist is hidden from view. Now the audience can sit facing the right way listening to the music and watching the performer from a privileged viewpoint. Simple advertising increases the number of the audience. 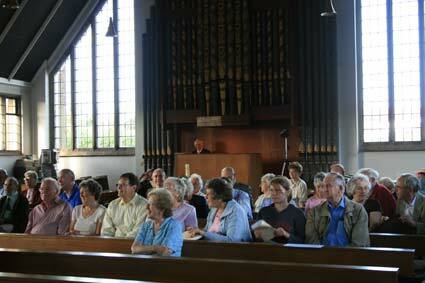 The audience love to hear the organ, but they love to see it even more. Comments after concerts show how much the audience appecaite the projection. Now more people than ever appeciate the changing of stops, playing two manuals with one hand at the same time and the action of the pedals. 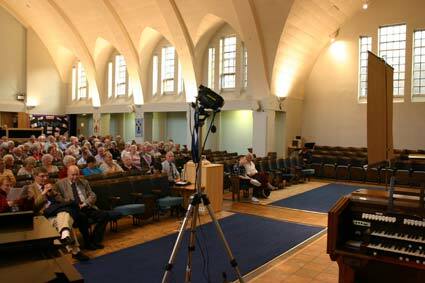 All venues are different, but all the auidences agree that this certain does make the difference with the concert. 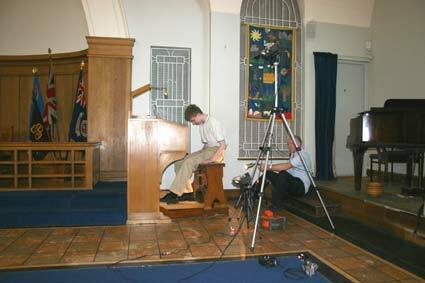 We work closely with the organist so that the optimum viewpoints can be gained, depending on the location and the music that is being performed. With several cameras in action, the best or most appropriate shot is selected to give the audience the best view of what is going on at the time. 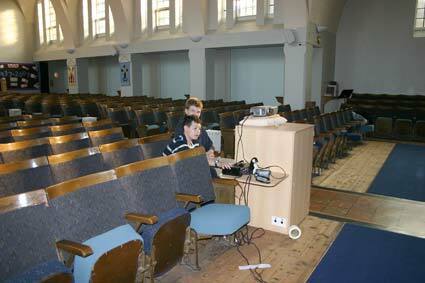 The projections can be recorded if the organist wishes to DVD or VHS Video cassette for later use in assessing technique for teaching purposes.